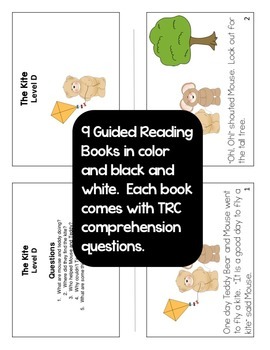 This product has all you need to help your students successfully pass LEVEL D.
9 books to practice one to one correspondence, reading fluency and comprehension. 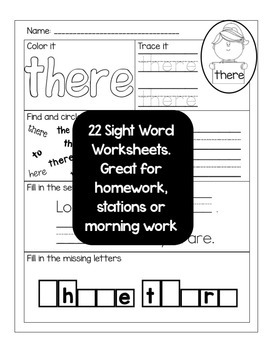 Fix the sentence activity: Put the sentence in the correct order and practice recognizing and reading these key sight words. 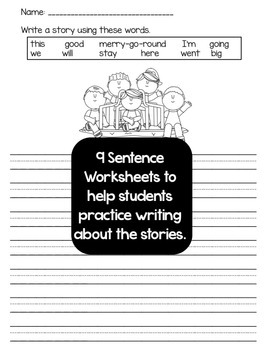 9 Sentence worksheets to help student practice writing sentences, reading them and connecting them with the picture. 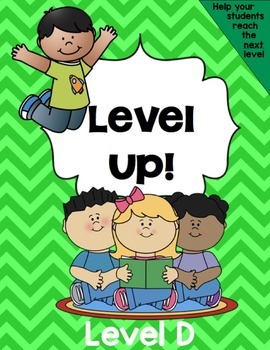 Check out Level Up for Level C! Check out Level Up for Level E!